Red X blocks update. Piecing the tops! You all are probably wondering what’s been going on with alllll of those red X blocks I brought home a couple of weeks ago, right? You may recall that I ended up carrying home 477 blocks made by ladies in Harrisonville, Missouri, to turn into quilts for The 70273 Project. Yes, that is a lot of blocks, if you must know, but I’ve been sewing them together as I could. I’ve gotten three tops pieced so far and still have a bunch of blocks. Hooray, Team!! Mind you, these still have the yellow sticky notes on them so that each maker can be recorded. They also don’t have borders on yet. I am staring at an eight-yard cut of white fabric that needs to be pressed before I cut the borders or backs, so you might be able to understand why I haven’t gotten beyond three tops. I also need to source some batting before I quilt them. In time! There are probably enough blocks left for two more quilts, but I’ll know more when I get back to them. I’ve spent what sewing time I’ve had for the last couple of days on the canning season quilt. I am almost done with the cutting on it, so will be able to move it off my table and put the red X’s back. If you want to read Jeanne’s update from week 52 of the project, check this out. You can read about the full block total so far (hint: it’s over 8,000!) too. It is so exciting to read the updates and see how people all over the world are involved in this. We always have room for more! Jeanne also talks about the Middlings in her newsletter. I desperately want to make a couple of those but don’t feel I can do them justice right now. Soon, though, soon!! I’ve made a bunch more X blocks this month too, but can’t even begin to tell you how many. 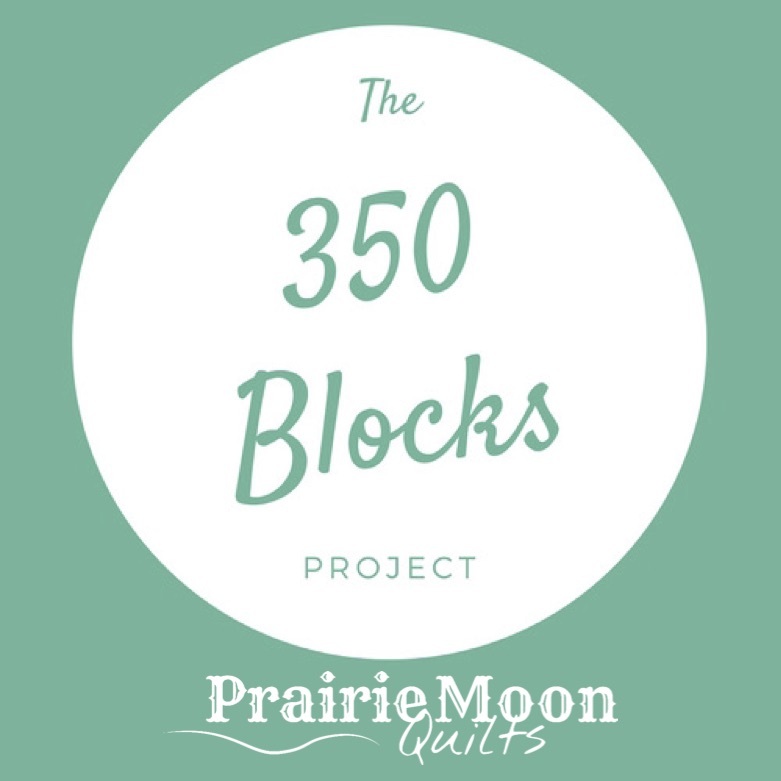 I’ve got a list in my planner so I’ll be able to add them into my 350 Blocks monthly total. Honestly, I will get a long way toward that goal this month! If you’ve not yet made any blocks, or even if you have, I just need to tell you here that we are planning to reach the goal of 70,273 blocks by October. Time is passing quickly, so if you’re so inclined, please make your blocks soon! We still need something in the neighborhood of 8,000 blocks per month to hit that goal by October. Can you stitch some up? Goooooo, Team!! You are far too kind, my friend. But that’s just fine by me. Kindness is a wonderful thing.